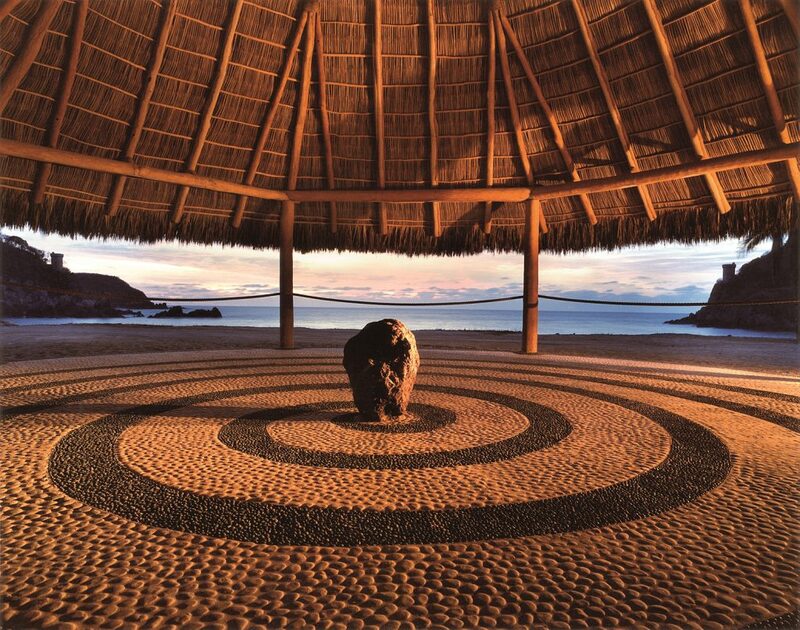 In 1968, Gian Franco Brignone, Italian financier and artist, fell in love with the wild Pacific coast of Mexico’s Costalegre and endeavoured to build a utopia there, halfway between the glamorous resort of Puerto Vallarta and the up-and-coming port town of Manzanillo. On the rugged coastline, Brignone imagined colourful villas that drew their inspiration from Mexico’s traditional architecture and gatherings of like-minded free spirits celebrating a passion for art and culture, all surrounded by the thick jungle which is now preserved to protect the richly varied flora and fauna. It was the sort of optimistic project that sprung up in many places in the wake of new-found post-war freedoms, as people channelled their inner visionaries and sought a better world. 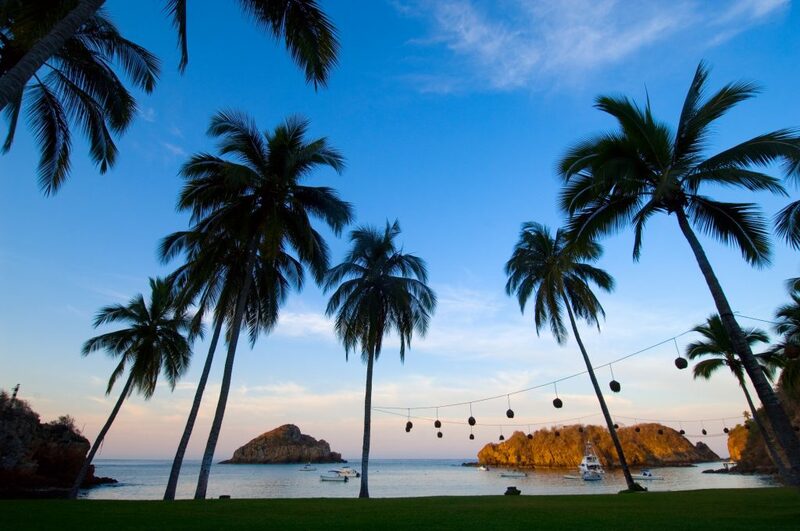 A rarity among all the attempts of that generation to create a community within an earthly paradise, Careyes remains. The heart of Brignone’s endeavour still beats, even as the heart of the man himself beats as he watches over his creation from the Mi Ojo villa on the clifftop. This piece will be, in part, a confession. 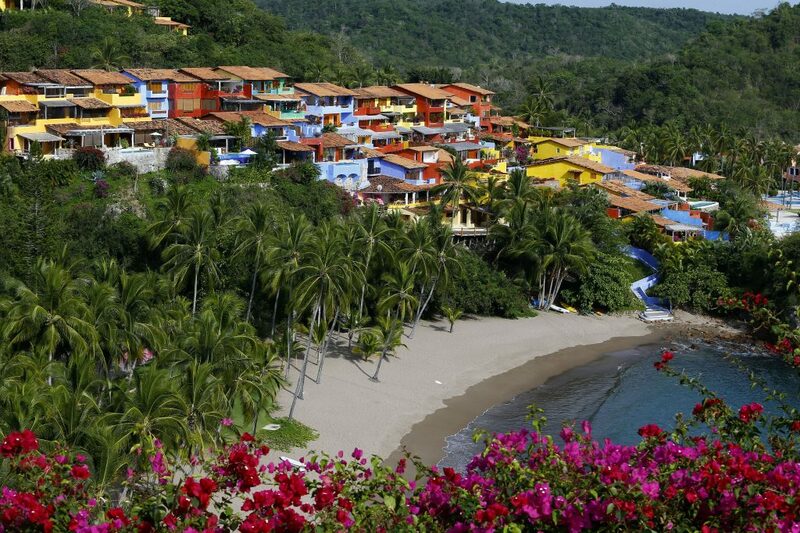 We arrived at the gates of Careyes at lunchtime in mid-August, with temperatures that felt to be in the late 30s (Celsius) and humidity of around 80%. 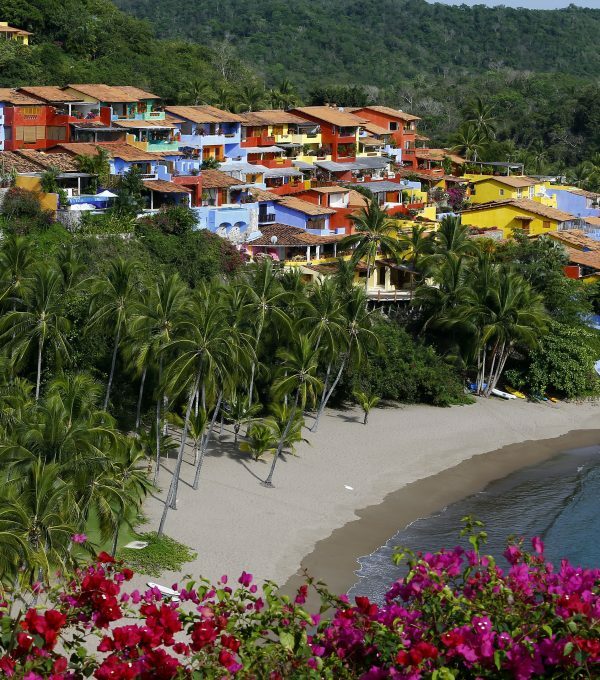 It had been a long drive along the insanely twisty – and occasionally unfinished – road from Riviera Nayarit, the other side of Puerto Vallarta, almost four hours away. 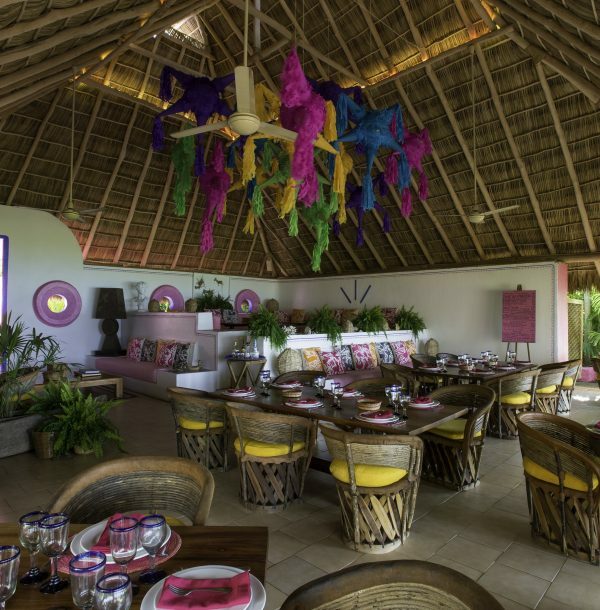 We were queasy, sweaty and hangry, straggly-haired and tired as we made our way through the patchwork-painted mini-village of the Casitas de Flores and down to the rustic Playa Rosa restaurant on the beach. We sidled past a gaggle of children enjoying the spoils of a fishing competition and brushed endless flying jungle-bugs from our faces. I confess that I questioned whether this could indeed be considered luxury, even a success. I confess I didn’t understand. As with any confession, the acceptance of one’s errors can be an eyeopener. The Careyes project of the 21st century consists of several parts. Within the twenty thousand acres of tropical wilderness, stretching along 12km of coastline, lie a number of different real estate enterprises. The Casitas de Flores, painted in bright colours and tumbling down the cliffs towards the beach, as well as the pink beach bungalows, are available for rent at a very accessible price, but are pretty rustic if you’re after igloo-level air-conditioned high-end accommodation (Careyes is committed to a ‘green’ and sustainable ethos so aircon is pretty sparse and the occasional hurricane has led the whole development to be created without glass, so cooling a room is nigh impossible anyway). But if your priority for your stay is the comfort of an ice cold room, you’re probably in the wrong place. 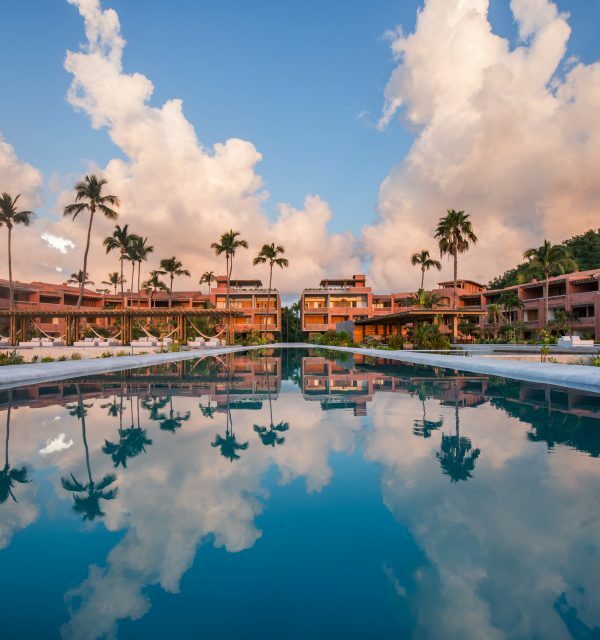 In the adjacent cove, the El Careyes Club and Residences is approaching the final stages of development after which more traditional upscale properties will be available to rent and buy, with the La Duna restaurant and five infinity pools right on the doorstep. The jewel in the crown, scattered across the surrounding hilltops are the private villas, which are available to buy and – if the owner desires or there is currently no owner – to rent. Arriving at one such villa, El Nido de Amor (The Love Nest), it was possible to see what dedication to natural aesthetics could do. In a shade of typical Mexican blue, the three bedroom villa perches on the edge of the cliff overlooking a private inlet where jagged promontories and sharp rocks amplify the roaring surf as it crashes and sprays below. Facilities are, again, quite rustic, but the infinity pool that gazes across the rocks and out to see is a perfect oasis of privacy and calm. Villas at Careyes have their own staff and so, despite the solitude of your domain, someone is always on hand if you need them. 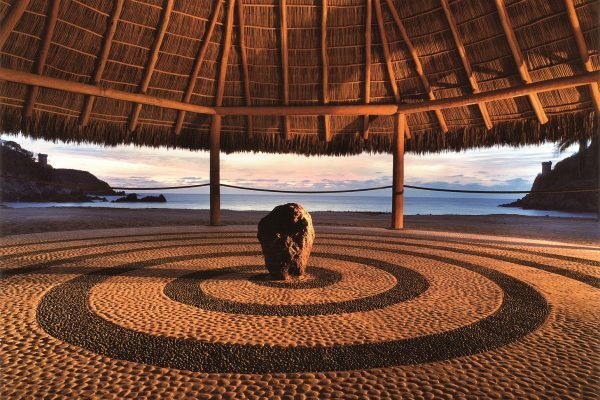 Having proven popular with various luminaries of the business and culture industries, Careyes only has one hitch: to buy a villa one must abide by a series of rules (one must ‘live in the moment’, one must speak three languages, one must have witnessed a live birth, and others). Possibly in attempt to preserve a cosmopolitan atmosphere, or to prevent the narcos (Mexican drug gangs) from corrupting the Careyes dream, these rules are enforced by interview and by the networking that usually occurs before a purchase is made. Careyes takes luxury out of the free market and edges it towards the status of a secret society… not least because something spiritual seems to be happening under the surface, somewhere between the temple built for meteorite that fell into the bay and constructions, such as the Piramidon and Copa del Sol, which use the equinoxes to symbolically celebrate man and woman respectively. One can imagine that this sort of thing puts some people off. On our arrival, I would have had little patience for it, but in the cooling afternoon, there was something that recalled to me my own wandering experiences and encounters with Mexico’s unique and magical soul. Slightly further from the sea, a hamlet has sprung up around a plaza where the public nightlife plays out. 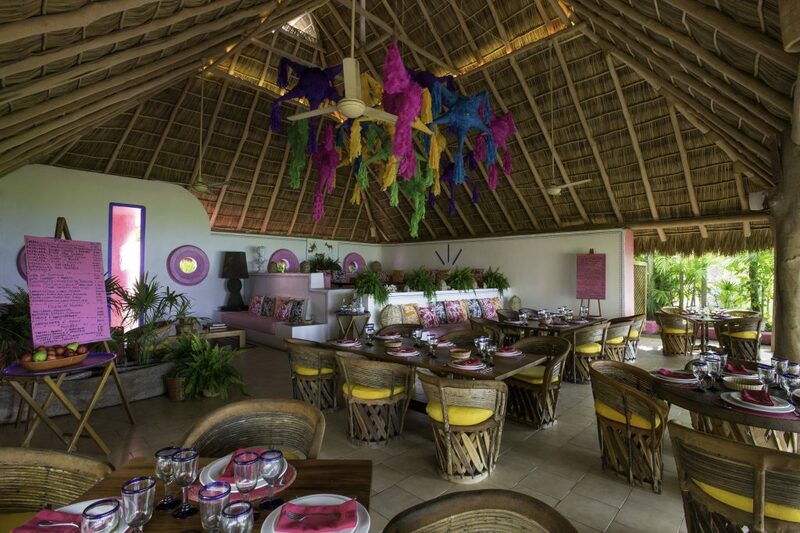 Some of Careyes’s seven restaurants are here, namely Punto Como for Italian food, La Coscolina for Moroccan and the gourmet restaurant Pueblo 25. Other restaurants nearby include the popular Cocodrilo Azul, which serves pan-Asian food on only two days of the week, seemingly more as a hobby for the owner than a striving business concern. 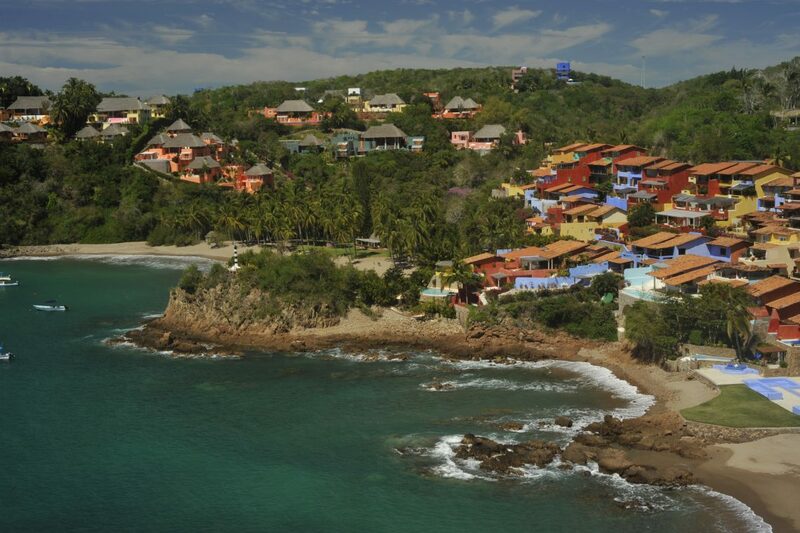 Within the hamlet, one can also find the Careyes Foundation, which supports programs for education, sports, arts and ecology in the local communities along the Mexican Pacific coast, promoting social responsibility and sustainability through turtle conservation, English teaching and arts and film festivals. It was over dinner that the realisation began to dawn on me. Jared, our guide to property, had invited us to dine with Augusto Manghisi, the right hand man of the Brignone family and the facilitator of the Careyes project for several years of its existence. This charming Italian explained, in far more elegant words than these, that the priority was the dream, not the money… and it all fell into place. Rather than a work focused conversation, I could let down my guard a bit; I could stroke the free-roaming dogs that belonged to other guests and watch casually elegant diners herd their children away from play and back to their villas. I was still being sold something – the ‘Careyes Way’ – but whether or not I bought into it was more about who I am than how much money I could offer, even if – lets be honest – wealth is definitely a prerequisite that they don’t shout about in the fabled rules… Finally, during that dinner, I realised I could feel the lure of this magical location and begin to understand the dream that is Careyes. Careyes nightlife wraps up early, unless one of the exclusive villas is holding a party, so we were up early enough to view another of the rentable villas, Ocean Castle Sol de Oriente, which sits at the end of the Peninsula de las Estrellas (stars as in Hollywood) and looks across a blissfully empty beach to its twin villa, Sol de Occidente. These two properties have their own symbolism of feminine and masculine, East and West, sunrise and sunset. I slightly preferred the more isolated masculine Sol de Occidente, where we had viewed the previous night’s sunset, but the yellow of the feminine villa was quite a sight in the morning light! 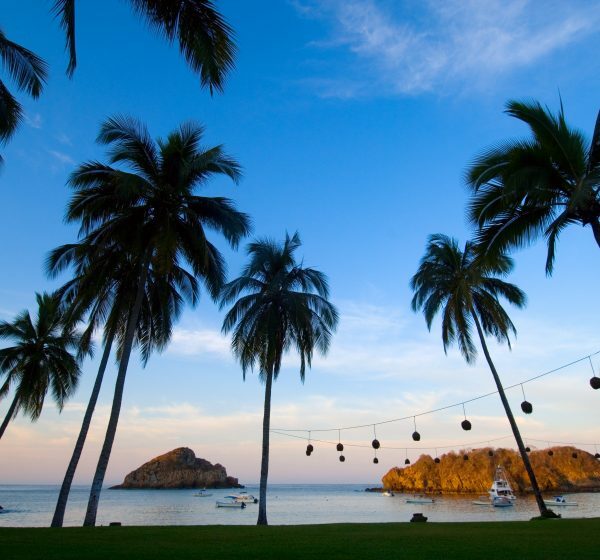 The community of Careyes is the heart of this real estate venture, a group of people passionate about vibrant living, about giving something back, about culture and education. 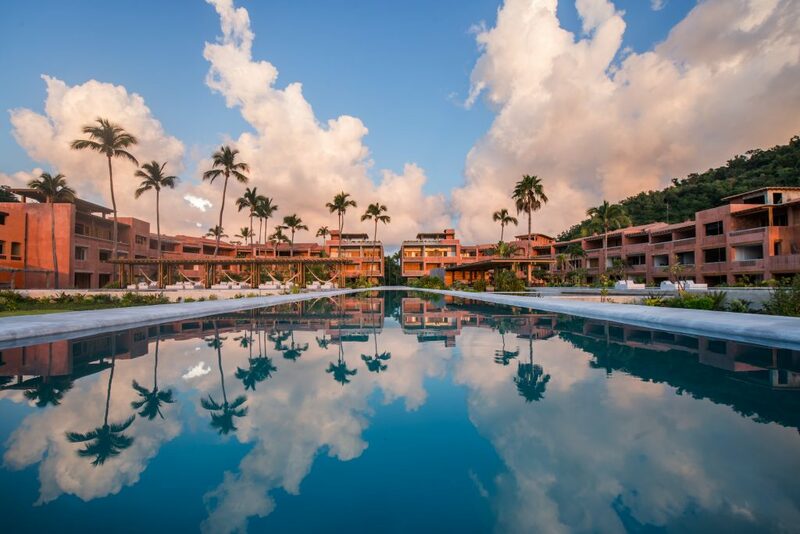 Long term residents form lifelong friendships during lazy afternoons at Playa Rosa and erudite discussions at the Plaza de Los Caballeros del Sol. Isolated from the cares of the everyday world, surrounded by likeminded yet unique characters, life at Careyes becomes increasingly appealing as I settle back into the routine of normal life. The dream of Careyes – the dream of one Italian, many years ago – is a dream that I would have thought impossible, but that I now recall, in a flood of colours, to have come true. I confess I am converted. I confess I have begun to believe.